Fantastic build, I love the chassis, the exterior and interior color. Add in the engine, the manual transmission and the gauge cluster and good lord, somebody is going to enjoy the hell out of this car. 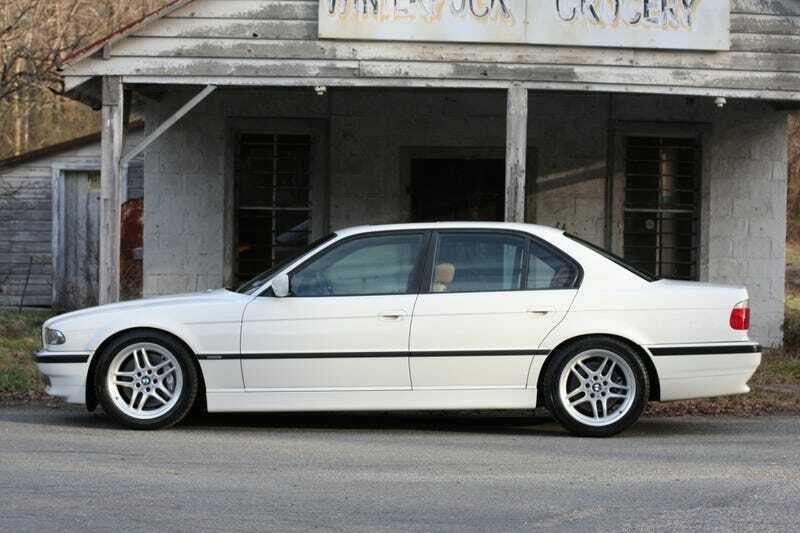 The E38 is probably my favorite looking of the big bimmers. It captures the classic BMW look while embracing modern design aesthetics. It is the most Audi of modern BMWs.